The Tony Bennett Concert Hall. Frank Sinatra School of the Arts (FSSA) is notorious for putting on phenomenal shows for the school and the surrounding community. From music performances, to dance parties, and vocal cabarets, FSSA offers a wide variety of performances that appeal to the public. The most ambitious production of the year is the annual musical production in March, put together by FSSA’s Musical Theatre, Stage Crew, and Pit Orchestra. The audience always knows what to expect with what happens on the stage, but what about what happens under the stage? Many students wonder what happens behind the scenes. They inquire about what the cast members do and what they think of the show. Sure, the cast members do perform the majority of the show, some may argue that they are the show. However, there is so much more when it comes to putting together a masterpiece of a musical. Students in the pit orchestra have their own perspective on what they contribute to the show. Sophomore french horn player Itayetzy Uranga (Itzy) shares her initial thoughts about joining the pit and her knowledge of the pit itself. On the contrary, another member of the pit orchestra has a different approach. Senior percussionist, Matthew Reisacher elaborates the opposite view of pit. Matt admits that he was too familiar with pit because of all the school performances he has attended. Matt confirms his exposure to music theatre as he has attended multiple productions, but admits that he never thought a real life orchestra was playing the music under the stage. 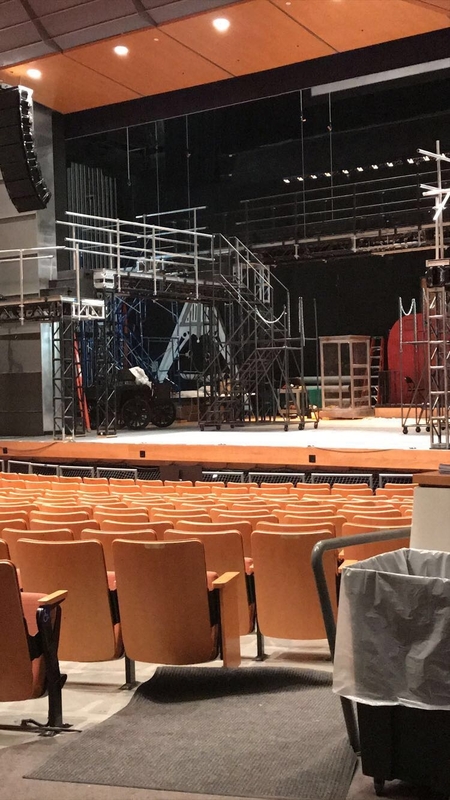 When it comes to rehearsing music for the musical production, people seem to think the pit has the least amount of work to do. While this may be true to an extent, this doesn’t necessarily mean the work is easy. Pit Alumni Matthew Cuji, who graduated last year from FSSA, stresses the importance of every rehearsal for pit. Matthew isn’t the only one that explains the issues of rehearsing, fellow Alumni pit member Salvatore Di Leone (Sal), concurs. Sal has worked with the pit orchestra ever since the production of Aida, and has learned many things through his experience as the only percussionist that stood in the pit. The pit orchestra clearly deals with problems that they face ever so often. Coming from the pit members, the work is hard and takes responsibility to get past these issues. Not many people are aware of the hard work that the pit orchestra does similarly to the cast members. It’s great to hear the main part of the story with the cast, but it’s amazing to hear a better story from a group that no one ever sees.